The Northern Ireland Simmental Cattle Breeders’ Club has chosen Air Ambulance Northern Ireland (AANI) as its charity partner for 2018 and has organised a charity raffle in a bid to raise much needed funds for AANI. 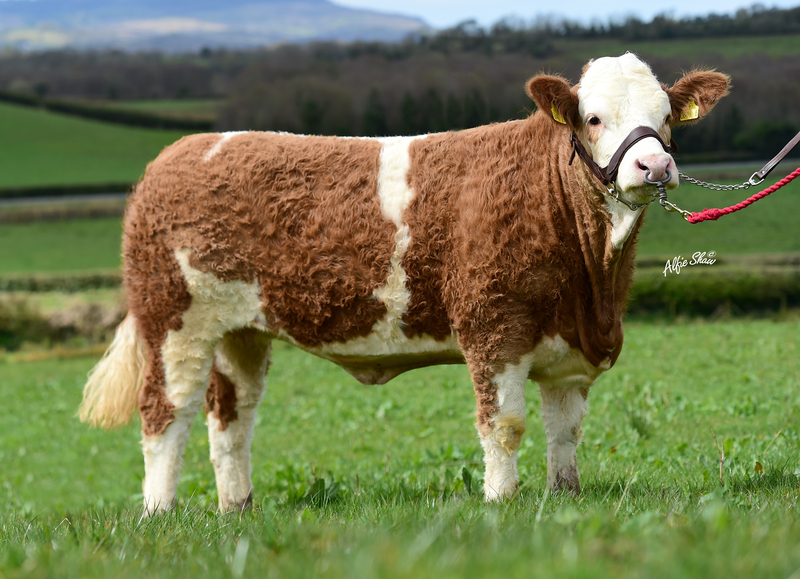 The raffle, which will take place at the Club’s annual BBQ at Dungannon Rugby Club on Friday 10th August, will have a top prize of an in-calf pedigree Simmental heifer, ‘Honeybee’, which has been kindly donated by Kenneth and Avril Stubbs & Family from Irvinestown, Co. Fermanagh. Honeybee will be visiting several agricultural shows over the next few months and tickets for the raffle will be on sale at these events, including the upcoming Omagh Show on the 7th July as well as the Castlewellan, Clogher Valley and Fermanagh County Shows later in the summer. Tickets will also be available to purchase from NI Simmental Club committee members. Club Chairman Conard Fegan thanked the Stubbs family for their generous donation. “Thelma Gorman was a highly esteemed Simmental breeder, and a long-standing committee member and former club chairman. In memory of Thelma, the proceeds from this year’s BBQ, auction and raffle will be donated to Air Ambulance Northern Ireland. Air Ambulance Northern Ireland, in partnership with the Northern Ireland Ambulance Service, provides a helicopter emergency medical service, and responds to seriously ill or injured patients, seven days a week, for twelve hours a day. From its base near Lisburn, Air Ambulance Northern Ireland can reach any part of the Province in approximately twenty-five minutes. Its primary role is to deliver advanced critical care, benefitting those whose lives are at serious risk following significant injury or trauma, by bringing urgent medical assistance directly to the patient at the scene. The September 2016 Drumbulcan Honeybee was sired by the Clonagh Tiger Gallant son, Drumacritten Callum, and is out of the home-bred Omorga Baldwin daughter Drumbulcan Errin. The 20-cow Drumbulcan prefix was founded by Kenneth Stubbs in 1976. Second prize in the charity raffle is a 43” LG Full HD LED TV; third prize is one-night B&B for two at the award-winning Galgorm Resort and Spa near Ballymena; fourth prize is an SFS Plastic one tonne portable meal bin; and fifth prize is a hand-crafted wooden farm set from Millwood Crafts.